The clock is ticking for the Goodreads giveaway (US, UK, Canada, and Australia) of my book. We Bury the Landscape is a collection of 100 little stories about 100 different paintings and other works of art (indicated alongside each story). The book is now available for pre-order, with a release schedule of April 1st. Also, Upper Rubber Boot Books' Couplets: a multi-author poetry blog tour is underway, and I'm in it! Meanwhile, two of my flash fictions, "Cameraman" and "Contortionist," are in Qwerty Magazine's Winter 2012 issue. In the 17th issue of Yalobusha Review, the annual journal published by the graduate students at the University of Mississippi, you'll find "Nobody's Beast," my flash-length story of Jenna, a normal working girl who found a prize from a Kellog's cereal box -- a baby, specifically a cereal-box baby who has a tendency to "wake up in the middle of the night and would crawl towards Jenna's belly." "Nobody's Beast" is collected in my book, We Bury the Landscape, and it is inspired by Paul Booth's painting, "Defiance." FICTION by Stephanie Dickinson, J.S. 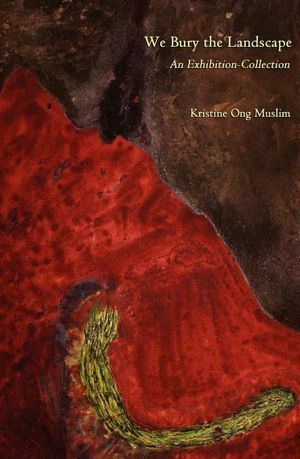 Khan, Diane Lefer, Kristine Ong Muslim, Kevin O’Cuinn, Meg Pokrass, Christine Sneed, and Marylee MacDonald. POETRY by Tory Adkisson, Melissa Barrett, Jeanne Marie Beaumont, Jesse Damiani, Michael Mlekoday, James Norcliffe, Geoffrey Nutter, Shelley Puhak, Mike White, and Billie R. Tadros. Plus non-fiction by Jacob Oet and interviews with Michael Chabon, Lynn Emanuel, and Mary Miller. Anobium Volume 2 contains two of my flash-length stories: the itinerant "Ripple Effect" and "A True Story." "A True Story" is another member of the We Bury the Landscape tribe. It is the made-up back story of Dorothea Tanning's famous painting "Eine Kleine Nachtmusik."